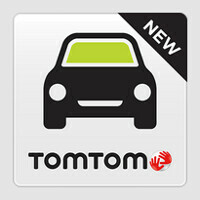 TomTom is now offering its new GO Mobile navigation and mapping app in the Google Play Store. GO Mobile replaces TomTom's previous navigation app although the older service will be supported through October 1st. Map updates will continue on the discontinued app through that date. The new TomTom GO Mobile app will include the company's latest navigation technology, TomTom traffic services for life, more accurate traffic jam alerts that show you precisely where slow downs begin and end, warnings for Speed Cameras and Danger Zones, access to all of TomTom's maps including 3D maps, and support for the latest Android models. Maps are stored on your phone allowing you to access them without having an internet connection. You can download GO Mobile from the Google Play Store and get 50 free miles of navigation each month. Once you exceed that limit, you can make an in-app purchase of $14.99 for one year or $44.99 for three years. Subscribers to the older service can sign up for three years of unlimited GO Mobile service for only 99 U.S. cents. Sygic or tomtom which is better? The new UI looks promising. It all come down to the quality of maps. Why would anyone spend money on a navigation app? Why? There are a lot people still spend most of there time behind wheel. with 3gbs or 6gbs data a month it burn up quick. And what happen when you drive to boonne and data service drop to edge or off completely. Just keep in mind that these multi dollars company still servive because there is market for it. Thats exactly right. Even if you had plenty of data, there are plenty of places where you have no signal and these maps are downloaded on your phone and will still work when you have no data connection. Then just download Here Maps and the appropriate amps while on WIFI for offline access.... Also free. I find here maps lackluster. Sorry, but their maps are average at best. Sure, it's awesome cause it's free, but I'm willing to pay only to get a better solution. Here Maps is crap. Most free GPS apps are crap. Go on the Playstore and read the reviews about Here Maps if you aren't convinced. The majority of the reviews complain about how buggy it is. I personally tried using Here Maps and it stopped navigating halfway through my destination. You get what you pay for. All these GPS navigators going to the freemium model is the sign that nobody pays for them. Google, OSM and Nokia put a serious pressure on TomTom, Sygic, Navigon and others. Here maps lets you download entire maps and navigate offline for free. TomTom on my phone? no!! i want google maps in my car!! Here Maps all the way, using it for many years now. Back then it was called Ovi Maps, best navigation app out there! This app would be perfect for me. Currently my cell plan has no data, I'm paying $10 a month for unlimited talk/text but no data. Now add in $15 a year for GPS navigation, and I'm paying $11.25 a month for unlimited talk/text/navigation.